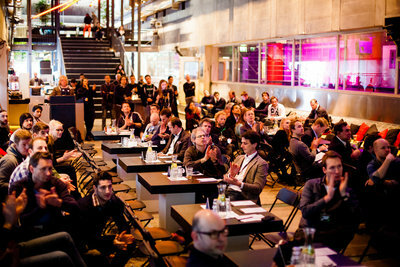 Rockstart presents the 10 startups selected for the latest Web/Mobile Accelerator starting on March 12 in Amsterdam. The class of 2014 (selected from 512 startups from 56 countries) includes startups from 6 different countries building solutions for education, transportation, crowdfunding, sales and e-commerce. A Rockstart accelerator helps 10 startups to accelerate their companies and break through global markets through an intensive six-month program from the European tech hub, Amsterdam. 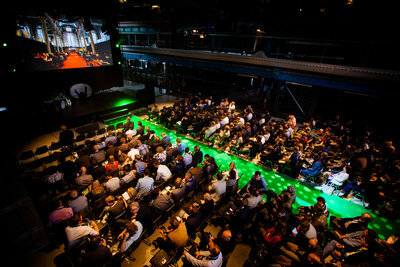 Rockstart presents the 10 startups selected for the latest Web/Mobile Accelerator starting on March 12 in Amsterdam. The class of 2014 includes startups from 6 different countries building solutions for education, transportation, crowdfunding, sales and e-commerce. 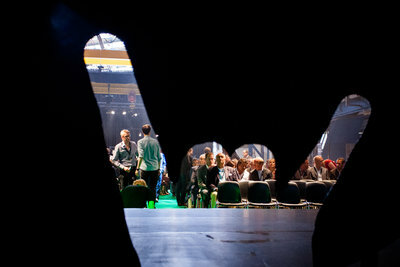 Trending topics in this year’s applications for the Rockstart Web/Mobile Accelerator are education, niche social networks, crowdfunding platforms, transportation, marketplaces and re-commerce. 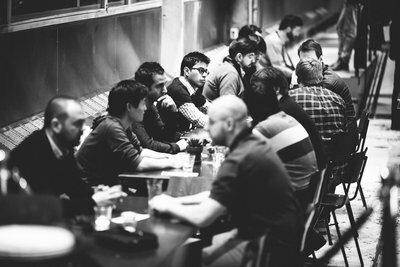 The class of 10 in 2014 was selected from 512 applications from 56 countries with founders from Argentina, Colombia, Ireland, Italy, Germany, Lithuania, Netherlands, Portugal, Romania, Syria, UK and USA. “We’re extremely pleased with the continuous increase in applications we see year after year”, says Rune Theill, Co-Founder and Program Director of Rockstart Accelerator. He adds: “For the second year in a row, education has shown to be a space where many startup founders see a problem that they’re trying to solve with new and innovative solutions. We also see many more developed startups applying for the program. Founders have clearly put a lot of thought on their business models and value propositions. They have researched the market and know the details about the competitors. For that reason it has never been more difficult to pick a top ten”. Auxen (Netherlands) is an essential IP-tool for content producers online. Bomberbot (Colombia) is a online environment in which children learn to code in a very simple and easy way, making children all around the world develop computational thinking. CoffeeStrap (Italy) is the first peer2peer microsessions tool for language exchange, learning, and teaching. It provides frictionless instant access on the go to text, voice, and video conversation. CrowdyHouse (Netherlands) is unique design ecommerce platform, direct from the designer, produced in series for the best price. LeadBoxer (Netherlands) is a visual dashboard giving sale teams access to the data they need to capture leads. Songvice (Portugal) is the Mecca for musical learning -- a marketplace that connects the best music instructors with aspiring musicians. Social Honey (Ireland) is building a solution that sources ratings and reviews for web content, and provides consumer insight based on a combination of user-generated feedback and big data analysis. TechnoRides (Argentina) connects businesses through different technologies that enable them optimise their transportation, management and financial resources. TOP Research (Portugal) provides the best software productivity tools for mobile devices. Wonderflow (Italy) boosts time on site and conversion rates of ecommerce stores by providing them with the perfect mix of reviews, videos and photos about their products. A Rockstart Accelerator is an intensive startup program that helps entrepreneurs take their companies from early traction to the global market in 6 months. It provides investment, office space, highly specialized knowledge, and access to a broad network of international mentors, partners and investors. During this program, the startups enroll in 30+ workshops on Lean Startup, Growth Strategies, Fundraising, Sales, PR & Marketing, Team & Personal development, Legal & Finance and more. After 100 days the entrepreneurs present their companies to investors, partners, entrepreneurs and industry journalists in Demo Day. Finally, in a month-long program in Silicon Valley startups expand their international network and learn from the world’s leading tech scene. 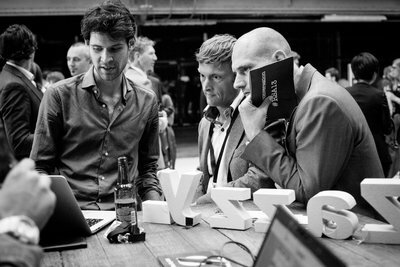 The first Rockstart Accelerator launched in 2012 and has accelerated 30 startups in three programs in the Web/Mobile and recently the Smart Energy space. The earlier two Web/Mobile Accelerators have shown good results: 70% of the two batches of startups have been funded by investors like Greylock Partners, Balderton Capital, Noro Capital, Vitulum Ventures and other renowned European and American angels. 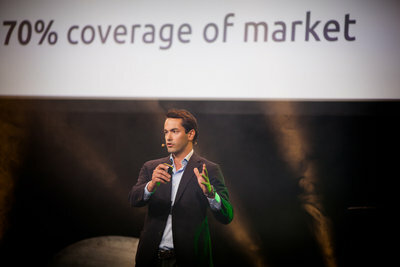 Rockstart’s Smart Energy Accelerator was launched in January 2014 and the program is now in progress. 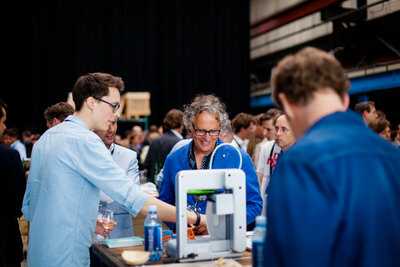 Rockstart Accelerator is part of Rockstart that launched in Amsterdam in 2011, helping startups to be more successful in the first 1000 days with acceleration, investing, housing, training and mentoring.